One Last Dance at Hickinbotham Oval! 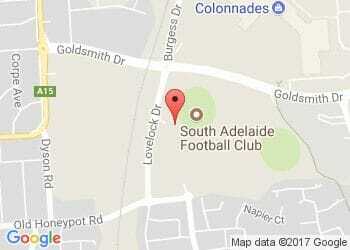 This Saturday South Adelaide play host to the Adelaide Crows in their last game at Hickinbotham Oval in 2016, with a chance to claim a 10-0 clean sheet at home. The Panthers are in the midst of a four-game winning streak and coming off a bye in Round 21, but come up against a rampaging Crows outfit that registered a mammoth 179 points against West Adelaide last weekend - the highest total points kicked by a team in 2016. Consistency has often been the key to South's success this season and Brad Gotch and his selection panel have again opted for a steady hand when placing the magnets this week. The electric Emmanuel Irra has joined an extended bench, but the Panthers will otherwise take the same team into Round 22 that faced the Roosters at Prospect in Round 21. With no Reserves game this weekend, South's junior girls teams will play as the curtain-raiser to the League game, with the Panthers Under-14 and Under-16 girls set to kick their season off against West Adelaide at 10:30am and 12:00pm respectively. Meanwhile, the club's Under-18s will conclude their 2016 season on Saturday morning at City Mazda Stadium as they also take on the Bloods. With only one minor round game remaining and a chance to sweep our home series 10-0 for the first time since moving to Noarlunga in 1995 make sure you get out to Hickinbotham Oval to cheer to boys on! However, if you cannot make it Lovelock Drive on the weekend download the SAFC App for live scores, stats and radio call of the game! The SAFC App is available for free download from both the App Store and Google Play.